The Library will close in recognition of Good Friday, April 19th, and will reopen on Saturday at 9 a.m.
We apologize for any inconvenience. The dropbox is available for library returns. Auto renewal is NOT an additional renewal, it is one more way for a patron to have items renewed. Currently patrons use Shoutbomb, i-Tiva, My Account and staff to renew items. Auto renewal is a new additional way for a renewal to happen. Rules that currently allow two manual renewals will allow 2 auto renewals, rules that allow 1 manual renewal will allow 1 auto renewal, non-renewable items will remain non-renewable. Auto renewal will NOT renew titles with holds or items that have reached the maximum number of allowed renewals. Auto renewals will renew items during the courtesy notice process (3 days ahead of the due date), new due date calculated based on the actual due date of the items for 7 or 21 days, depending on the rules associated with that particular item. Patrons may now return library material owned by Lakeland Library Cooperative member libraries and Kent District Libraries to any other LLC member library or KDL location regardless of where the materials were originally checked out. Items may appear on your account for a few days after return. They may need to travel to a central location before they get checked-in fine free. If you check out materials from Grand Rapids Public Library, please return them to a GRPL location only. For more information, talk with a staff member at your home library. *GRPL is not participating in the Return Anywhere program at this time, but they will be happy to reexamine it in the future after the completion of their strategic plan. WITHIN THE NEXT MONTH THE LAKELAND LIBRARY COOPERATIVE LIBRARIES WILL BE SWITCHING TO AUTOMATED CALLS FOR HOLD PICKUPS AND OVERDUE NOTICES. YOU MAY NOT RECOGNIZE THIS TELEPHONE NUMBER BEGINNING WITH AREA CODE 616-559, ALSO THE NUMBER WILL BE RECOGNIZED BY CALLER ID & SMART PHONES AS LAKELAND LIBRARY COOPERATIVE. FOR YOUR CONVENIENCE PATRONS MAY ALSO NOW RENEW ITEMS BY AN AUTOMATED SYSTEM BY CALLING 616-453-2575. YOU WILL NEED TO HAVE YOUR LIBRARY CARD BARCODE AND YOUR PIN NUMBER AVAILABLE. HOOPLA - includes Eaudio Books, Ebooks, Music, Movies and more! 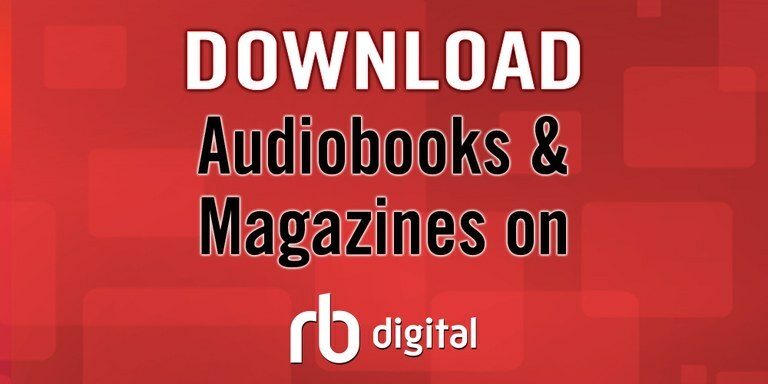 RB DIGITAL - Eaudio books, Ebooks and Magazines! The Saranac/Clarksville Library System exists to foster life long learning by providing resources and technology to enhance our communities. See what else we are reading!